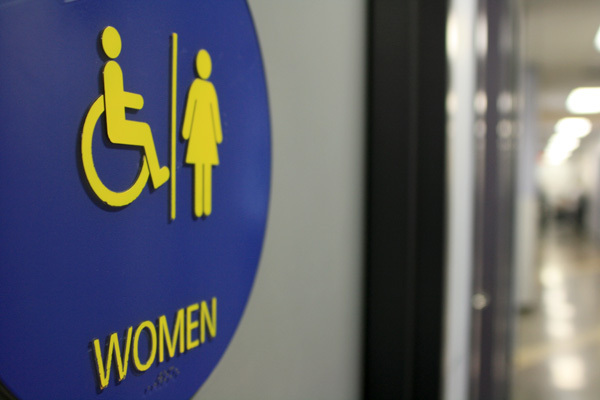 Richmond Kwantlen Student Association council director Reena Bali wants to know who hasnâ€™t been pulling their weight in the washrooms around Kwantlenâ€™s Richmond campus. Many of the washrooms, especially one for women located near the Blossoming Lotus yoga studio around the corner from the KSA Richmond campus offices, is often found in an unclean state, said Bali. She isnâ€™t that isnâ€™t sure about the state of washrooms for male students. Bali said that she thinks what she says are unsanitary conditions shouldn’t be blamed on campus cleaning staff, but on inept students. The state of the washrooms is problem that Bali has noticed since January. Bali feels that, other than the washrooms, Richmond is a pretty clean campus. She plans to talk to KSA chairperson Steve Lee and the university to see if she can solve the problem. Kwantlenâ€™s janitorial services are contracted out to Dynamic Facility Services Ltd, according to a July 22 bid aware notice writtenÂ byÂ Christine Monroe, manager of supply contracts for Kwantlenâ€™s supply and business services division, andÂ published on Kwantlenâ€™s website. Dynamicâ€™s bid for the annual day porter and core cleaning services contractÂ is valued at $473,024 and was accepted on the basis of a best-value criteria. Sam Mann, facilities supervisor at Kwantlenâ€™s Richmond campus, said that the conditions of washrooms varies from campus to campus, and that poor conditions are often due to vandalism. â€œMost kids do respect the facility I believe, but itâ€™s just that the odd person tends to (vandalize),â€ Mann said. â€œI guess some peopleâ€¦ could be having a bad dayâ€¦could be frustratedâ€¦some people, I guess itâ€™s just their nature to do that kind of stuff. as a male, I can attest that the quality of the men’s restroom next to the women’s restroom that Reena was complaining about is also subpar, and has been steadily declining since the three years I have been here. the waterless urinals keep going out of order, and when that happens, a terrible smell permeates the place. there was for a while no towel paper, and there still isn’t soap in one of the dispensers. the trash receptacle seems to have detached from its cupboard mount. it’s a newer bathroom too – the older ones on Richmond campus aren’t as bad, though maybe I have a higher tolerance for overflowing trash cans and water everywhere. what a shame.